The competition among Australian bookmakers to gain new customers is strong. In order to entice punters to bet with them, Australian bookmakers offer substantial sign-up bonuses in the form of free bets, often up to $500 and sometimes even $1,000. 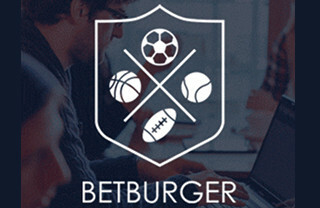 This is great news for anyone interested in sports arbitrage because arbers can use the techniques below to convert on average 75% of a bookmaker’s sign-up bonus into cash. Every time you register a new account with an Australian bookmaker you have the opportunity to obtain a sign-up bonus and convert as much as possible of that bonus into cash. This is the easiest and fastest method for growing your bankroll, whether you start with $500 or $50,000. By taking only the sign-up offers from Australian bookmakers, and scalping the bonus bets via the following techniques, you can pocket $2,000+ cash easily. place an offsetting cash bet on team B – most punters who are given a free bet offer simply place it all on one team to win, thereby risking the bet. However, with bonus scalping you calculate a corresponding and offsetting bet to place on the opposing team with a different bookmaker, thereby guaranteeing that no matter which team wins you convert the bonus bet into cash in your pocket. Sign-up bonuses are only offered by soft bookmakers, this is because sharp bookmakers have the ability to offer more innovative, and arguably better, incentives to attract new punters. 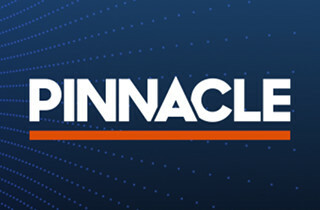 Accordingly, you will not find sign-up bonuses for Pinnacle Sports. How do I find the best sign-up bonuses? There are hundreds of websites with sign-up promotions and bonus offers for registering a new bookmaker account using their banner/link. This is nothing new. What you need to understand is that bookmakers frequently change the offer at each affiliate website based on traffic-flow, relationships, and marketing strategies. This means that there isn’t one website that always has the highest bonus offers, and if you want the absolute best sign-up bonus for a given bookmaker then you need to hunt for it. Google is your friend. A simple search like “Bet365 bonus bet” will result in many pages of results. Sports Arbitrage Australia recommend using www.bestbookiebonus.com who have the latest bookmaker bonus details available. Bookmakers attach conditions to their bonus offers that must be complied with before the bonus can be realised or cash withdrawn. You must read, take note of, and fully understand the conditions in order to maximise the amount of cash that you ultimately receive. withdrawal of funds is allowed. Please note that failure to comply with all conditions does not put your cash deposit at risk. Instead, should you not meet all conditions then only the amount of the bonus bet and associated winnings will be voided. In our experience, Australian bookmakers rarely attach unreasonable conditions to sign-up bonuses. However, if ever the bonus conditions seem overly complicated or impossible to achieve then consider registering an account without claiming a sign-up bonus. On a side note, it is worthwhile mentioning that Australian bookmakers regularly offer reload bonuses to some players. 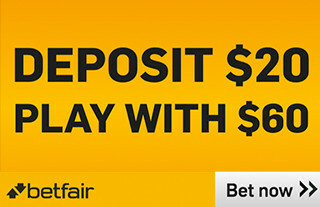 Reload bonuses are bonus bets offered to punters who have not placed a bet for a while. The reload bonus is akin to a sign-up bonus but worded “100% bonus for depositing more money into your account up to $300”. What Sports Arbitrage Australia has discovered is that our members regularly receive reload bonus offers via email, some even after deciding to retire from sports arbitrage. These reload bonuses are effectively free money for arbers (or ex-arbers) so our members happily take advantage of the bonus using the skills and techniques learned from sports arbitrage. Almost all sign-up bonuses offered by Australian sports bookmakers are of the ‘stake not return’ variety. Although self-explanatory, the basic premise of a ‘stake not returned’ bonus bet is that should the wager that you use your bonus bet on be a winner, your account will be credited with the winnings less the notional stake value. For example, if you use your bonus bet to place a $500 wager on odds of $1.80, and it is a winning bet, then your bookmaker account is credited with $400 (being the total winnings of $900 less the notional $500 stake). 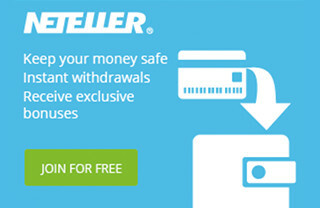 If your bonus bet is a losing bet then all attached conditions are waived and you can withdraw your deposit freely (i.e. there is no subsequent turnover requirement on your deposit). 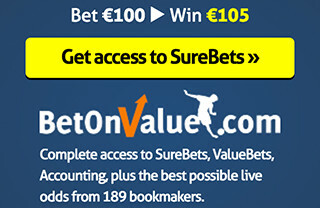 ‘Stake not returned’ bonus bets are kept separate from your normal bookmaker account, and are sometimes labelled “free bet”. A typical condition that Australian bookmakers attach to ‘stake not returned’ bonus bets is that your deposit, the bonus bet and any associated winnings must be turned over (re-bet with) at least once on bets with minimum odds of $1.50. where the underdog’s odds are as high as possible – ideally more than $5 (the higher the underdog’s odds, the more bonus value will be converted into withdraw-able cash). Once you have found an arb that meets the above criteria, you simply place the full bonus bet on the underdog (at the highest possible odds), and then place the covering bet at the other bookmaker as you normally would with arbing. It really is that easy. If you are unlucky and your underdog at high odds actually wins the match, then the winnings credited into your account from the bonus bet will need to be turned over the required number of times before you can withdraw the cash. If you are actively arbing then this isn’t an issue because you will likely turnover the winnings from your next few arbs. ‘Stake returned’ bonus bets are a rarity in Australia – Sports Arbitrage Australia has never come across a sign-up bonus of this nature. In fact, the only ‘stake returned’ bonus we received was a reload bonus and we suspect the bookmaker made a mistake! The basic premise of a ‘stake returned’ bonus bet is that should the wager that you use your bonus bet on be a winner, your account will be credited with the full winnings, including the notional stake value. For example, if you use your bonus bet to place a $500 wager on odds of $1.80, and it is a winning bet, then your bookmaker account is credited with $900. 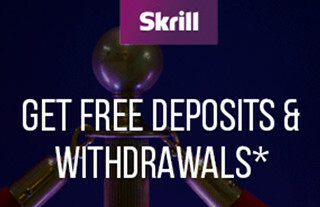 If your bonus bet is a losing bet then all attached conditions are waived and you can withdraw your deposit freely (i.e. there is no subsequent turnover requirement on your deposit). ‘Stake returned’ bonus bets are commonly just added into your normal account balance (unlike ‘stake not returned’ bonus bets which are kept separate), and as such you don’t have to do anything to convert the bonus bet into withdraw-able cash because they have already given it to you. Conditions attached to ‘stake returned’ bonus bets by Australian bookmakers are similar to ‘stake not returned’ bonus bets. That is, you’re your deposit, the bonus bet and any associated winnings must be turned over (re-bet with) at least once on bets with minimum odds of $1.50. Actually there is barely anything to do. ‘Stake returned’ bonus bets require no involvement from a punter in order to extract maximum value, you treat the bet like regular cash when you are arbing. If you’re bonus bet is a losing bet then you’ve just converted the bonus 100% into withdraw-able cash at the other bookmaker. If you are unlucky and your bonus bet wins, then the winnings credited into your account from the bonus bet will need to be turned over the required number of times before you can withdraw the cash. By exploiting these bonus bet promotions you can quickly and easily make a few thousand dollars, irrelevant of your initial bankroll. Bonus scalping is a must for anyone involved with sports arbitrage, but it doesn’t need to be limited to just arbers – it’s really an opportunity for anyone to generate a few thousand dollars with relatively little effort.